The Department of Veterans Affairs plans to integrate its acquisition and financial management systems to improve how the agency buys technologies as part of its ongoing modernization program, Government CIO Media & Research reported Monday. “Longstanding in VA, we've not had an integrated acquisition and finance solution,” said Terry Riffel, deputy assistant secretary of financial management business transformation at VA.
James Gfrerer, the Department of Veterans Affairs chief information officer, said during the recent ACT-IAC Health Innovation Summit that the department intends to migrate 350 applications to the cloud by 2024, Fedscoop reported Wednesday. Gfrerer noted that the number of current and new applications to move to a cloud environment comprises half of the department’s portfolio. 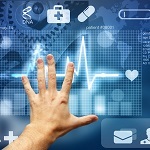 Government officials discussed the challenges to federal health care innovation during an event hosted by the American Council for Technology - Industry Advisory Council, Nextgov reported Wednesday. Terry Adirim, deputy assistant secretary for health services policy and oversight at the Department of Defense, cited poor change management and slow procurement process as obstacles to innovative projects. The Department of Veterans Affairs plans to boost contractual partnerships with veteran-owned and service-disabled, veteran-owned small businesses. The VA said Monday it aims to provide 17 percent of its contracts to businesses owned by veterans while 15 percent will be allocated to service-disabled veteran-owned businesses in a move to reinforce its contracting goals by five percent. House lawmakers questioned the Department of Veterans Affairs about why the agency continued to increase spending for legacy technology systems despite the need for updated systems, Federal News Network reported Tuesday. The Office of Inspector General found that the Veterans Benefits Administration failed to update its system for processing housing stipends under the Forever GI Bill, according to a Department of Veterans Affairs report released Wednesday. Department of Veterans Affairs officials told attendees at the 2019 HIMSS Conference in Orlando, Fla., that the department launched an application interface to improve its services, Government CIO Media reported Monday. 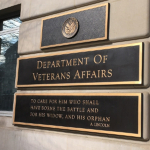 The Department of Veterans Affairs implemented legislation to streamline the agency’s claims and appeals process for former U.S. service members. VA said Tuesday that the Veterans Appeals Improvement and Modernization Act of 2017 will reduce its inventory of legacy appeals. The Department of Veterans Affairs has announced a new effort to help former servicemen prepare for computer-focused careers, and seeks professionals who would serve as trainers. The Veteran Employment Through Technology Education Courses program is intended to help veterans enter workforces in the areas of information technology, information science, media application, data processing and other computer-related fields, VA said Wednesday.